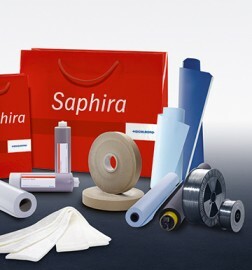 Smithers Pira Reveals Heidelberg Presses ​ are the Most Productive in the Industry ​and Produce the Lowest Cost per Sheet. 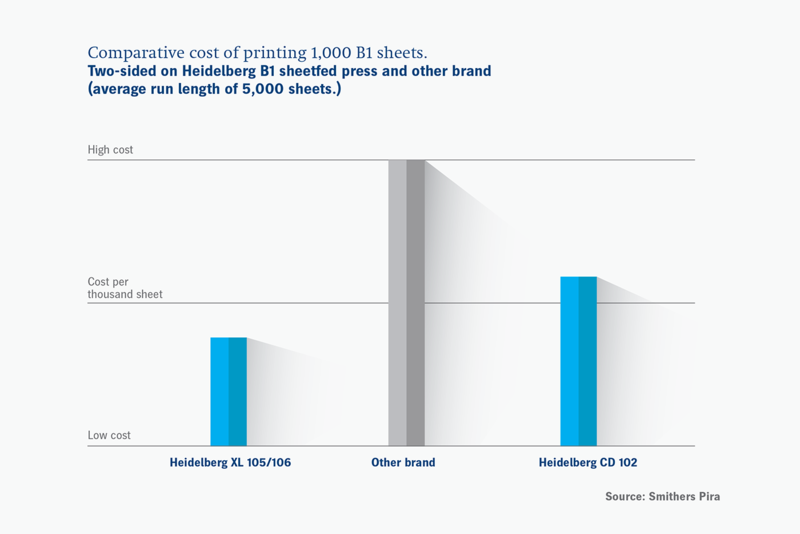 Cost per sheet is significantly lower on Heidelberg presses versus other brands. Profit opportunity for Heidelberg machines is higher than for other brands’ models. 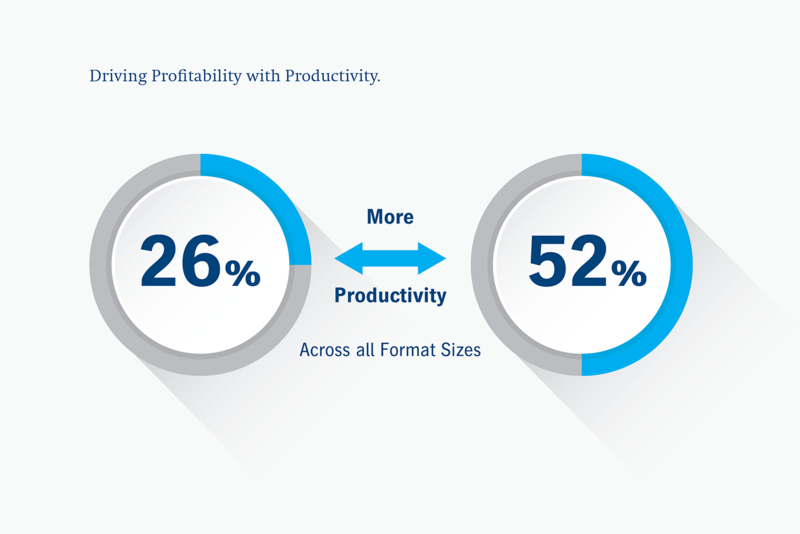 “What this study proves is that buying a new press from another manufacturer, regardless of purchase price, means that you will be paying a higher cost per sheet,” said Andy Rae, Global Head of Marketing, Heidelberger Druckmaschinen AG. 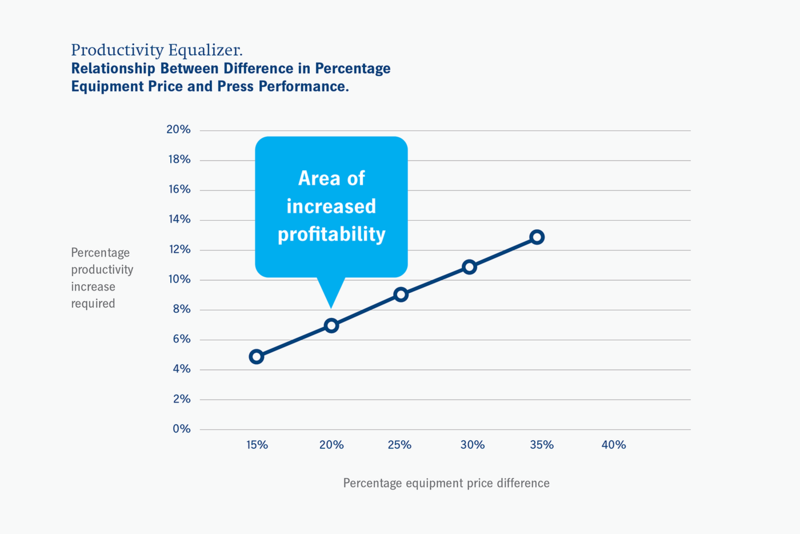 “Even with a 25% purchase price premium, Heidelberg machines only need to produce 8.75% more to justify the price difference versus other brands’ machines.